The new process is part of tough new drinking and driving rules that come into effect across the country on Dec. 18 called mandatory alcohol screening. 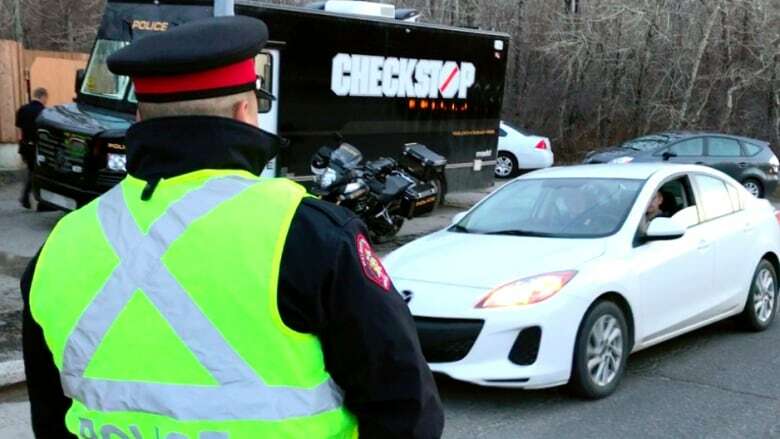 Starting today, every person who drives through a checkstop in Calgary will be required to give a breath sample. It's part of tough new drinking and driving rules that come into effect across the country on Dec. 18 called mandatory alcohol screening. The new rules also allow police to demand a breath sample from anyone they pull over for a traffic stop, even if there's no reasonable suspicion that driver is intoxicated. At checkstops, all drivers will have to provide an initial breath sample while still within their vehicle. During a traffic stop, officers will demand a breath sample and then conduct the regular traffic stop if the driver's sample shows no signs of alcohol. "We all want to do our part to reduce the tragic impact of impaired driving. We want everyone to have a safe and happy holiday season," said Const. Andrew Fairman in a news release. "Impaired driving is impaired driving, no matter the substance." Mandatory alcohol screening has been introduced in over 40 countries, according to Calgary police.